Sterling’s quiet exit is a great outcome for the NBA brass—but not for justice. Rumors that have been swirling over the last several hours from ESPN to TMZ have been confirmed: Los Angeles Clippers deposed owner Donald Sterling will be signing over control of the team to his “estranged wife” Rochelle. Ms. Sterling will be, according to reports from Ramona Shelburne of ESPN, attempting to sell the team as soon as possible. For the NBA Commissioner Adam Silver, who was due to start hearings on the forced sale of the Clippers two days before the start of the NBA Finals, this has to be seen as some combination of Mardi Gras and the Super Bowl of good news… perhaps. As for the Sterlings, the value of NBA franchises has been skyrocketing in recent years due to a very favorable collective bargaining agreement signed in 2011 with the players and the prospect of a gusher of international revenue over the next decade. The Milwaukee Bucks, for example, sold this year for more than $200 million more than the bigger-market Philadelphia 76ers just three years ago. Any franchise on the market would see a conga line of hedge-fund suitors. The Sterlings would love a piece of this future revenue, but they probably won’t get it. If the NBA does, however, concede to have Shelly Sterling assume full ownership and make the sale, then at least she gets to choose who will take over the franchise. That means the Sterlings won’t have to suffer the indignity of seeing Donald’s bête noire Magic Johnson in their owner’s box. As for the NBA, if the Sterlings make the sale, it would indemnify them against anti-trust lawsuits that could have stated that if the Sterlings had made the sale, then they would have landed a better deal. Yet the number-one benefit for the NBA would be having this ugly ordeal end with a quiet whimper instead of a litigious bang. Sterling’s attorneys made a great deal of noise last week about taking this to court and going scorched earth on the entire league. Now the NBA will never have to answer the question about why the Sterlings have been coddled for so long. Now the NBA won’t have to defend why racist housing practices, demonstrable misogyny and the verbal abuse of players was ignored for so long. The circus will end, an outcome for Adam Silver that would be better than a LeBron-Durant showdown in the finals. 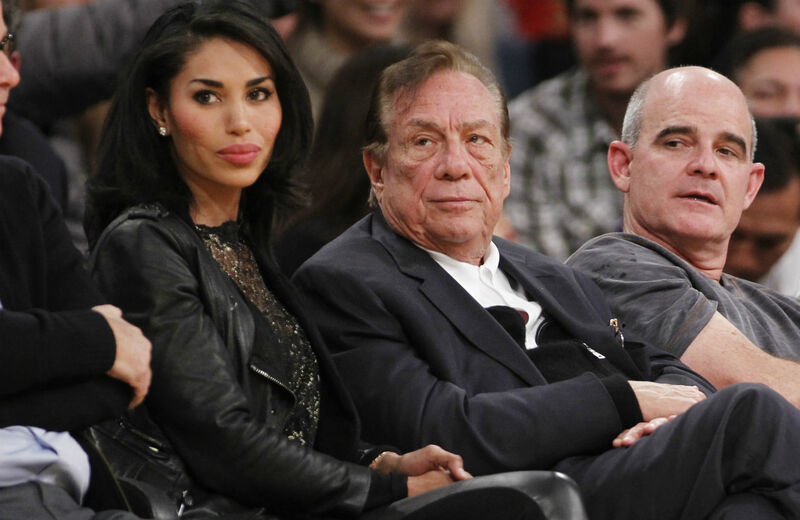 It would mean Donald Sterling gets to be publicly scorned one last time by the finger-wagging pundits. It would mean no more of Mavericks owner Mark Cuban, putting his feet up on the table and telling us his deep thoughts about racism—and perhaps how he invented the terlet. It would mean Silver gets to be deified even more. And it would mean former commissioner David Stern can play the role of Rolo Tomassi: the guy who gets away with it. Meanwhile, everyone gets rich, no one has to answer for anything and the finals exist without any kind of shadow. For Adam Silver, you’d have to say this was a good day.